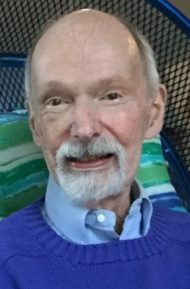 Ronald “Ron” W. Moyer, 79 years, 11 months and 18 days, of Lititz, PA, passed away Friday, January 25, 2019 at United Zion Retirement Community. Born in Pottsville, PA he was the son of the late Isabelle (Williams) and Ray Jacob Moyer. Ron was raised in Manheim Township, Lancaster, PA; he resided in Winter Park, FL and Annapolis, MD until his retirement in the Lititz area where he was living high on the hilltop. Ron graduated from Cornell University with his Masters Degree. He retired from NASA as a Risk Safety Manager after 20 years. Ron was instrumental in the developmental work of the NASA Space Station. Prior to NASA he worked as an Electrical Engineer for GE. Ron enjoyed collecting art and ceramic pottery. He was a wine connoisseur He was a talented pianist and loved to travel. He loved his dogs: Eleanor, Phillip, Duke, Dexter, Cookie and his zebra finches His large circle of friends, who became family, will remember him for his kind and generous heart and feisty personality. Ron is survived by his partner, Paul Mazmanian; 1 brother and 2 cousins as well as his dogs: Eleanor and Phillip. Interment will be private at the convenience of the family. In lieu of flowers, should you so desire, please make a donation to the SPCA-Lancaster, 848 S Prince St, Lancaster, PA 17603, Pet Pantry, 26 Millersville Rd, Lancaster, PA 17603, SPCA of Anne Arundel, 1815 Bay Ridge Ave, Annapolis, MD 21403 or the World Wildlife Fund, 1250 24th St NW, Washington, DC 20037. My deepest sympathy’s to Ron’s family and to his partner, Paul. Keeping you all in my prayers. My condolences for the family of Ron and for his partner, Paul. My condolences to Paul Mazmanian and the other members of the Moyer family. It is also my sad duty to inform Paul of the passing of Omer (Jack) Masters on Dec 10, 1918, at age 97. A celebration of his life will be held at the Cummer Museum of Art and Gardens 829 Riverside Ave. Jacksonville Fl on Feb 9th. 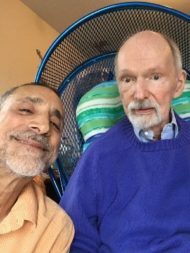 Norman Young, caregiver, friend, and personal representative. I’m very sorry to learn of Ron’s passing. Always enjoyed coming to your home on North Mary. Take care of yourself.